This translucent teflon and stainless steel sampler is specially suitable for the indication of layers, measuring the thickness of the floating layer and the sampling of drums, tanks on lorries, gully holes and shallow oil separators. With the liquid layer sampler also depth specific samples can be taken. The translucent sample tube allows for immediate research in the field of for instance the thickness of the layers in the sample. The sample taken can be safely transported in the sample tube which is placed in the liquid proof transport tube. Applying the silicone piston provided it is also possible to sample thicker, viscous fluids or even a sludge layer while maintaining the thickness of the layers. 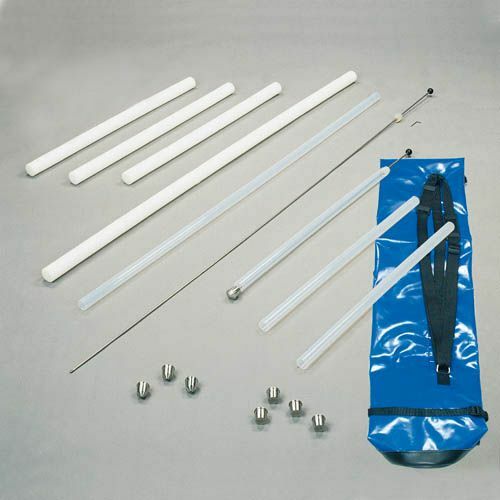 The set contains: teflon sample tubes of different lengths, operating rods with knob and adjustable piston, transport tubes, top- and bottom stops and a sturdy carrying bag.